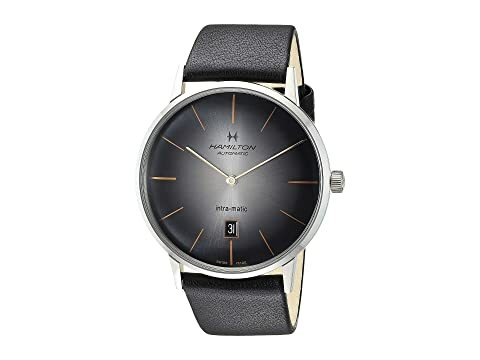 Simple yet sharp is what you have wearing the Hamilton™ Intra-Matic watch. Two-hand analog display with automatic movement, and date display window. Gradient grey sunray dial face with stick indexes. We can't currently find any similar items for the Intra-Matic - H38755781 by Hamilton. Sorry!